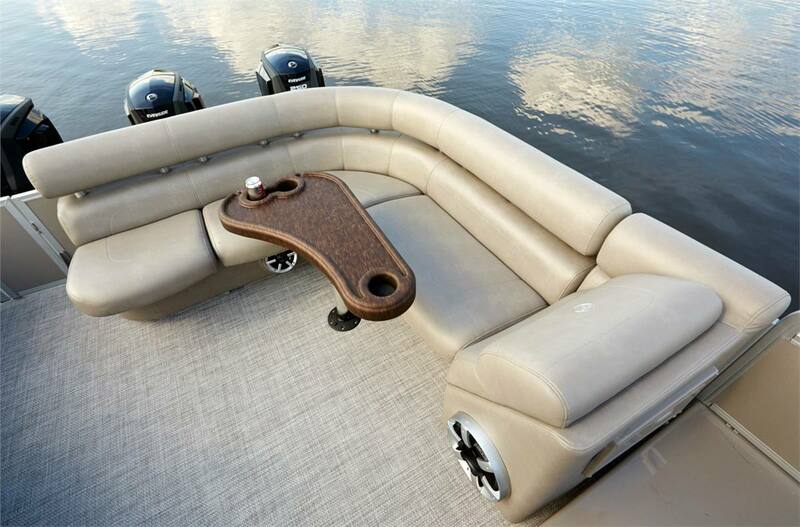 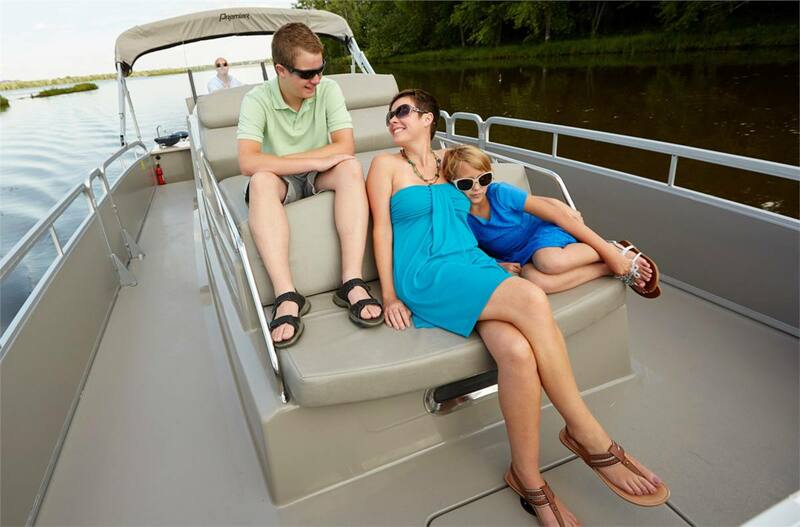 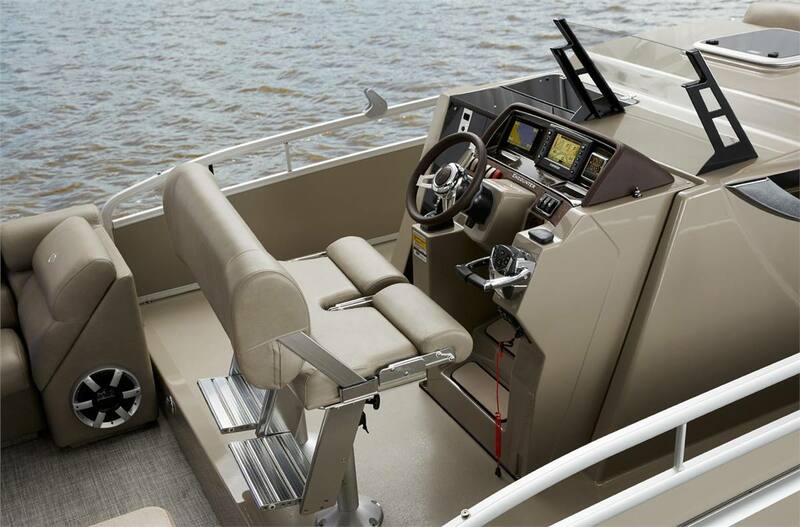 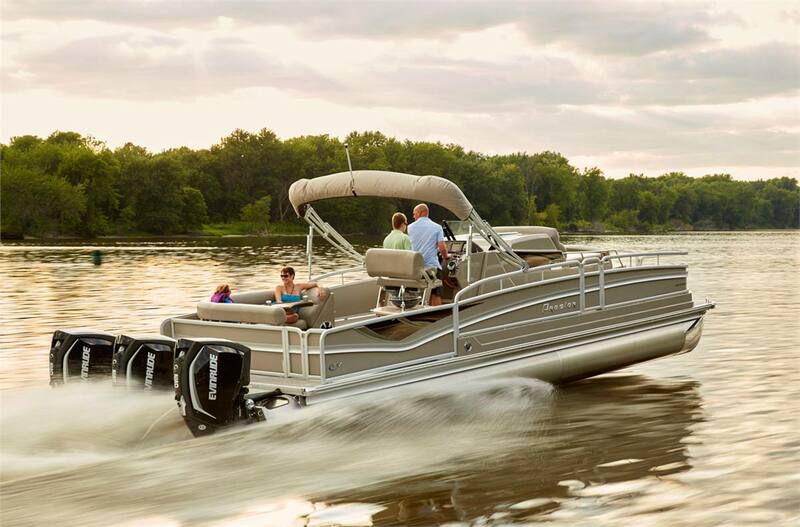 The stability and luxury of a pontoon with the convenience and comfort of a cabin cruiser, the Encounter is Premier's first pontoon model with a convenient center-cabin layout. 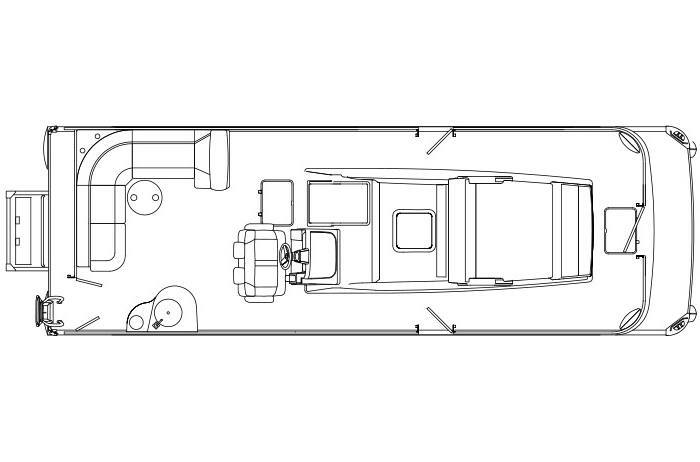 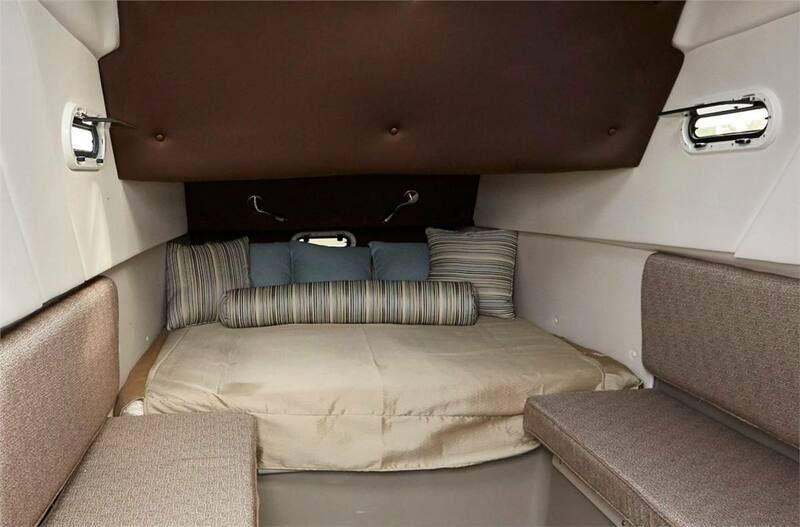 Located under a raised helm, the cabin features a plush sleeper with mattress, internal speakers, deck hatch, and convertible dining table. 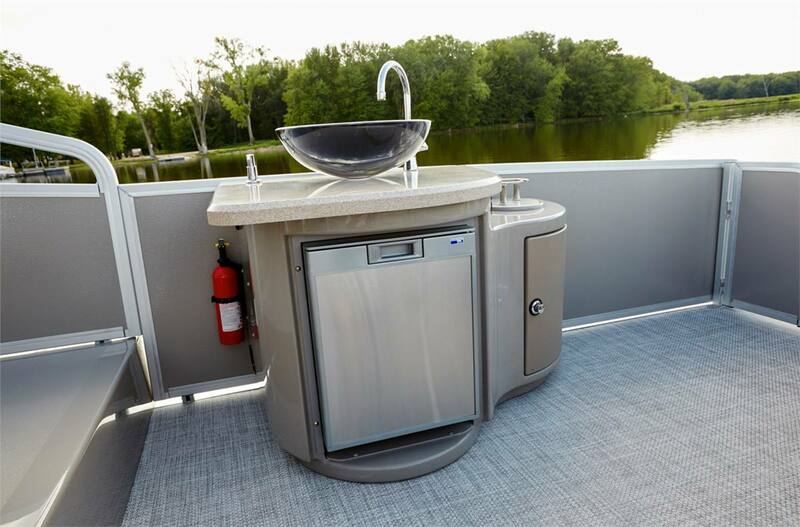 The original full-bar pontoon, the Grand Entertainer maintains its first-in-the-industry features including bar stools, sink, bottle storage, glassware and a cabana top for the ultimate in opulent entertaining. 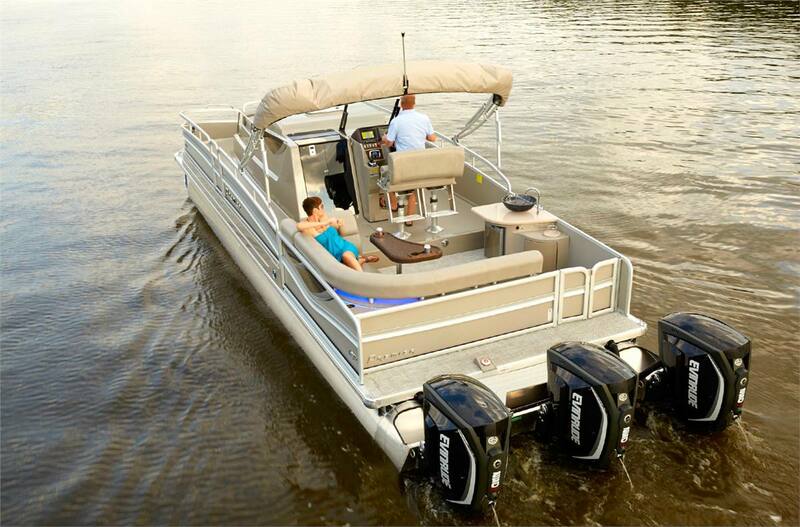 Overall Length: 33 ft. 5 in.